Private grouses have a funny way of becoming public feuds — especially in the music industry. From high-profile beefs like the ones between Kanye West and Taylor Swift and Jamaica's Mavado and Vybz Kartel, to the more local but equally infamous 2004 fight between Trinidadian soca stars Destra and Denise Belfon, celebrity quarrels often end up bringing attention to the artists and drawing new audiences to their music. 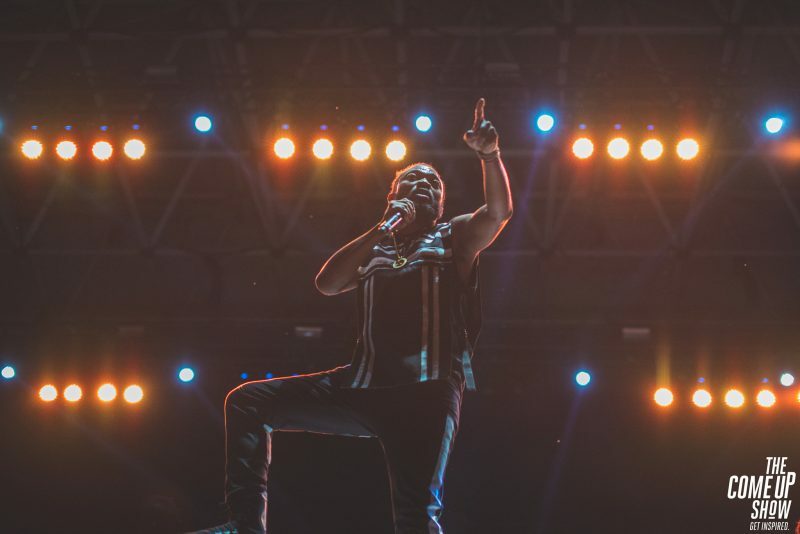 Now, thanks to a burgeoning battle between Trinidad and Tobago entertainers Machel Montano and Neil “Iwer” George, soca music officially has its first spat of 2019. Trinidad and Tobago's annual Carnival celebrations take place this year on March 4 and 5, and the lead up is peak time for soca music. Popular soca performers like Montano and George are booked for Carnival events months in advance. They're releasing new music in a bid to win the coveted Road March title, which offers a substantial monetary prize to the artist whose song plays the most during Carnival. Screenshot from a Vimeo video of Trinidadian soca star Iwer George performing at Return Fête in Toronto in 2018. Soca music lovers first noticed tension between the two musicians when George released his first song of 2019, “Road March Bacchanal 2″. The song's lyrics makes it clear that George holds a grudge after losing the 2018 Road March battle to Montano. His composition, “Savannah”, was a strong contender, but Montano had teamed up with soca veteran Superblue to release “Soca Kingdom”, which copped the coveted 2018 Road March title. “Soca Kingdom” was played 336 times, and “Savannah” 140. In another version of the song, George accuses Montano of “bad talking” him, and belittles the honorary doctorate Montano recently received from the University of Trinidad and Tobago for his contribution to soca music. Stunt or not, many social media users following the feud have pointed out that this type of lyrical sparring (known as a “sound clash”) is not new; in fact, it is intricately woven into the origins of calypso music, and its modern-day hybrid, soca. In a recent interview, George himself addressed the fact that he was just “documenting the history” as he “always does”, following the path of legendary calypsonians who did the same. While calypso music is well known for its social and political commentary, an early form of the music involved verbal dueling similar to the war of words taking place between George and Montano. Calypso tents, where calypsonians perform during the Carnival season, were hugely popular for their “extempo wars”, live contests in which singers would improvise lyrics on the spot mocking each other, or on a specific theme. The banter between the performers is locally referred to as “picong”. Such performances are typically interactive, with audiences echoing one of several refrains, the most common of which is “Santimanitay!”, a derivative of the French phrase “sans humanité”, or “without pity”. But audiences have rarely witnessed a back-and-forth like this in recorded soca music. And real or not, the George/Montano feud has listeners as engaged as any extempo wars audience, both at Carnival events and online. George and Montano will, very likely, both in the running for the 2019 Road March title and at the very least, the added drama makes for good entertainment and more music. Soca lovers could ask for nothing more.